During big events like BaLMUN the work of people in the background such as staff, security, tech support and so on is often overlooked. So we have decided to dedicate this article to volunteers who make events like this possible. Firstly, we interview the above mentioned volunteers to see what were their reasons for applying, what they learnt and etc. Most of them applied seeking to learn how the stuff works at BaLMUN in order to become delegates soon in the future. They also looked for opportunity to meet new people from all across the globe and have some pleasant time with them. And nevertheless they wanted to be a useful member of our school community, because they're aware how much little things, like opening the door or fixing the printer, mean on a bigger scale. Secondly, we want to emphasise how much their work is important and looked down upon. Those are the people that prepared everything for the arrival of delegates, who made everybody feel welcomed, and ensured the order during conferences. Still, many people look at them without the respect they deserve and without realising how much the volunteers contribute to this event. But despite everything, the volunteers personally gained a lot of knowledge about the work that UN does, and also how to organise events of this kind. Furthermore, this is the main goal of high school MUNs: to interest young people into the work they do and to show them that they can bring the future back home. Second meeting of The Seventh BaLMUN conference on the Economic and Financial Committee in Gymnasium was about flaws in giving loans, which was demonstrated with the current Structural Adjustment Programmes (SAPs) in use by the International Monetary Fund (IMF) and World Bank (WB). The actual reason for discussion about SAPs is that these flaws have been long acknowledged by many nations and there haven't been any actions for solving this problem. Discussion was based on the idea that more research is necessary before making any concrete policy recommendations. Today’s topic on the “Social and Humanitarian Committee” was human trafficking and protecting those affected by it. The delegates discussed about the main topics and stated their attitudes. On the second day of BaLMUN, the delegates, who were stationed in the Academy of science and art started their session at 9am. At security committee, delegates continued discussing the resolution regarding the topic "Rising tension in Kosovo", which was proposed yesterday. The 11 clause resolution was mostly supported by the delegates which resulted into it being considered as best temporary solution for solving the issue in Kosovo. Second topic at the security committee was supposed to be "Dealing with the growth of national- populist parties in the world", but in the light of the latest events, it was decided that the second topic should be changed to resolving the issue of sudden escalation of conflicts between India and Pakistan. At the second session they started developing the resolution. It was presented by the UK,Germany,South Korea and Russian Federation delegates. The discussing of the resolution will be finished on tomorrow's meeting at 9am. Today`s main topic at disarmament committee was demilitarisation of Arctic and Antarctic. Many delegates agreed that they should primarly be used for scientific research and not for military actions. Some delegations had different opinions ,for example Russia, mainly because they own some teritories on Arctic which are used for training soliders and for building massive miitary bases. At the end a motion has been started among UN participants to draw back their nuclear weaponary from Arctic and Antarctic teritories ,and it passed with 11 in favor and 5 delagets against. During today's conference on the Environmental Committee the delegates discussed about regulation of plastic pollution in the oceans. Invention of plastic 100 years ago completely changed our world today because almost everything is made out of plastic. Plastic is a material that was supossed to be revolutionary, but instead it became trash that pollutes our waters. General recommendation was to increase recycling, develop projects for cleaning oceans and protect animals from eating plastic trash. The most interesting presentations were delivered by Netherland, Ukraine and New Zealand, who showed enthusiasm, profesionalissm and raised awareness on this important global challenge.This conference was very successeful and all delegates concluded that plastic pollution in the oceans is our joined responsibility and each country need to contribute in order to change the world. To major satisfaction of chairs, delegates and teachers, the second day of the BaLMUN conference in the Development Committee was a great success because all motions passed. The main points against globalization made by delegations of United States of America and Democratic Republic of Congo were condemning slave-like labor, which was deemed as such due to alarmingly small wages. Ultimately, the failure of the second resolution, meant the closing of the globalization topic, and a definite win for countries whose stances on globalization were positive. Next up on the agenda was combating the weak education system in African countries. After presenting their speeches on this topic, delegates composed resolutions. The first resolution was made by delagations of Belgium and the United Kingdom. Main points made in this resolution were equal opportunities, financial assistance from more developed countries, making primary education mandatory for children of all genders and interference of UN’s peace forces and international foundations for the cause of bettering Africa’s educational infrastructure. This resolution had a majority of votes and was successfully passed. During the course of today’s session, delegates also had multiple opportunities to relax and have fun. One of the activities the Chairs prepared was a dramatic reading of Shakespeare’s works. Day 2 was wrapped up in good spirits, with several delegates stating that they would love to relive the experience as soon as possible. At the Health committee, on Saturday, April 13th, the time was fulfilled in a pretty interesting way. At the beginning of a session, delegates were finishing debating on the topic „Legalization of embryonic stem cells research“ by discussing the first resolution for that topic, which was written with much effort. After that, they moved to a second topic, which was „Examining the collapse of humanitarian aid for Yemen and Syria“ where they presented their countries attitudes and points of view. Although it was just the beginning of discussing this topic and no resolutions were written, participants of this committee believe that tomorrow's session is also going to be productive and successful, due to a great effort of all delegates. 1. 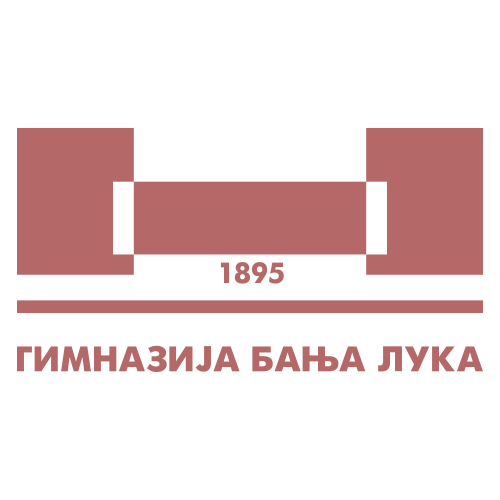 Could you tell me your general impression about staying in Banja Luka at the Balmun Conference? -Mila: Even though the weather wasn't on our side, all the people that were involved in organizing or participating in this event made my days staying here better than ever. I met so many enthusiastic people who were open minded, friendly and most importantly, there for me whenever I needed help. I really hope that I will have a chance to come back and feel the same amazing energy one more time. 2. Why did you decide to come here and participate in this organization? -Mila: I am a person who wants to get outside their comfort zone, so I took the chance to be a participant in BaLMUN. I managed to succeed in my aim so I am more than satisfied with how it turned out. 3. Would you like to visit Banja Luka and participate in Balmun conference in the future as well? -Mila: As I said before, this was an amazing experience and I would be more than honored if I was given another chance to participate in the BaLMUN conference. For the 7th time in Gymnasium Banja Luka reading room, the conference of Economic and financial was held, during which a discussion about economic benefits, which every state from European Union can and should have, was conducted. The first topic of the conference was the „Trade war between China and USA“. Namely, delegates were representing interests of the USA, South Africa, Australia, Switzerland, Russian Federation, France, Brasil, Luxemburg, India, German, Spain, United Kingdom, Netherlands, Israel and China. Member States of European Union are affected by this problem and this instigated the discussion. The Netherland have been forced to lower their taxes in every segment of the trade because of the trade war which China had caused. Australia thinks that taxes are a great solution for saving the state in a financial way. They touched upon topics ranging from pollution to cars, so Australia suggested that China start using electric cars. China disagreed and continued with same goal: Trade war. Final suggestion and solution was given by Israel: 'China should lower the taxes on cars. There were many opinions, but in the end, China accepted lowering the taxes with bigger benefits for its economy than dissatisfied countries. We were interwieving delegate Mariam. She came from Iraq in Bosina for studying. -How long are you in the MUN? -For about 7 months, I am in the Mostar, so I am in this from the beginning. I will be here for 2 years, so I am truly happy with the future gatherings. -How was your experience in this organisation? -Actually, it's pretty cool. I met great and friendly people from Banja Luka which left an important impression. I am amazed with Gymnasium and with its creativity.Being a part of the MUN gave me a big knowledge about new culture, nation and customs. -Have you got any useful knowledge, which you can use in the future? -It's not my first conference, it's actually the third. On these events I understood how matter is respecting someone's opinion, even if it's for me a little bit different, unusual. During today’s conference on “Social and Humanitarian Committee" the delegates discussed about child marriages and forced marriages. The topics also included sexual abuse, economic problems, and slow developments of countries. Each delegation made clear statements of their convictions. The delegations of China and Indonesia had interesting presentations. They observed the topic as a global problem and violation of human rights. The delegations of Canada, China, Indonesia, Japan and Cuba stated that early pregnancy affects babies, which in turn affects mortality on a global level, leads to improper education and impedes development in several countries (India,Nigeria etc), physical and mental abuse (ex. India, Pakistan) or aspiration for better life conditions (poor families offer their daughters’ hands in marriage because they want “better life” for them, but the outcomes are not always favorable/expected). Basically, every delegation had similar points expect Saudi Arabia. The delegation of Saudi Arabia stated that marriage is at the “heart of their tradition” and that it can’t be recognized as a world problem. Therefore, West European Countries have no right to declare what is and what isn’t correct. On that note, the delegation of the UK, USA and Poland reacted by claiming that there is no tradition that is a threat to human rights and quality of life. The delegation of the UK stated that it is a consequence of bad development. The delegation of USA had an unusual sentence used in their speech: “A child is a child. How can a child give birth to a child?” The delegation of Poland stated: “Millenium development” and claimed that human life is the most valuable thing on earth and no tradition is an excuse for getting in the way of that. Poland and China made the conclusion for the whole debate. China stated “You can’t tell the abuser STOP ABUSING, they won’t stop.” The delegation of China, as a submitter, and the French Republic , as co-submitter, came up with solutions based on monetary sanctions, sending reports or calls to all UN countries to ratify UNCRC. Therefore, they reiterated that rural places still find child and forced marriage as a normal thing, which was approved. Later, the delegation of Poland stated their conclusion which was based on "unreal standards" ( they voted 12-14 for “yes”). They recognized the Universal declaration of Human rights as fundamental. Everything was based on supporting the collaboration between civil society and national programs to support strengthening the role of community-based organizations to enable them to engage better with the community and religious leaders. It also requires ensuring that child brides living with HIV are able to access new technologies including antiretroviral drugs and community based care. This was not taken as our personal opinion. Today’s debate was a successful and healthy discussion. Today, on the April 12, 2019, the seventh annual BaLMUN conference began. BaLMUN is one of the Model United Nations conferences and it represents a simulation of the work done by the UN. Conferences of that type are held in more than eighty cities all around the world. The conference itself has seven committees: security, health, social and humanitarian, disarmament, economic and financial, development, and environmental. The health department sitting, which started at 11 AM and ended at 4 PM was held in the premises of od ANURS. The conference started with a discussion regarding the legalization of embryonic stem cells which will be resumed tomorrow. The majority of the discussion was based on different beliefs about embryos, as well as moral, ethical, religious and other social conditions which differ from country to country. The delegates have shown passion during the presentation of their countries' opinions but we are certain that they still haven't reached their maximum. We strongly believe that the delegates have yet to show their true capacity and the extent of their knowledge. Furthermore, we're sure that they will bring many memories and friendships home. During a break of the development committee conference we had a chance to interview Vanesa Skoric from UWC in Mostar and ask her about her impressions of the city, the MUN, and of the organisation. Vanesa is a first grade student in the Mostar United World Colleges school, which is equivalent to our 3rd year of high school. This is also not her first MUN conference. When first asked to share her opinions about the city and the MUN, she mentioned her appreciation of the warm and nice people she met on a rainy day and that BaLMUN is a special experience for her. When asked what brought her here, she stated that it was the urge to learn something new, to challenge herself and to see the world from different perspectives. Moreover, she was noticeably interested in learning about the politics, argumenting her opinions, showing critical thinking and communicating new ideas, and those are just some of the skills you can learn at MUN conferences. Her host family made a great impression on her through their interaction and accommodation they've given to her. Not only that, but she even said that her colleagues, delegates, staff and security were responsible for making her experience amazing. The security committee, stationed at the Academy of science and art, started at 11AM. The topic discussed during the first day was "Rising tensions in Kosovo". During the initial session, the delegates were discussing about the best solutions for solving problems regarding security in Kosovo and on during the second session, the delegates partly reached an agreement on the given topic. They were discussing about the army of Kosovo. Some delegates said that Kosovo should have it's own army, while some delegates didn't agree because they thought that the Serbian army is enough to protect that entire region. They even discussed about territorial swaps between the Serbs and Albanians. Those swaps should ensure peace between the two nations. At the end of the second session the chairs and delegates agreed to continue the discussion about the resolution of Kosovo the following day at 9am. We interviewed three of the delegates and they were more than happy to participate in Balmun 2019. The answers we received are definitely helpful and give us much hope for the next years of Balmun to come. One of the delegates was Andjela Despotovic, the delegate of the United States of America. She is from Bijeljina but she studies at UWC Mostar. Andjela says that she is impressed by the city and the environment. She is glad to have participated in Balmun and finds it quite educational and a way to improve the mindsets of the youth, meet people and build a better future for the next generations. The second delegate we interviewed was Aiden Franko from Slovenia. Aiden also found the city to be interesting. He enjoyed his stay here and feels delighted that he met many of his peers that either share the same opinion as him or provide him with constructive criticism. Milan Stojilovic from Belgrade also enjoyed the accommodation he received and wishes to participate in upcoming years again. All in all, the experience was positive for all participants in the event. The overall atmosphere was calming and nice. Everyone was professional, but that did not stop them from having fun and exhibiting unique opinions.